The client is one of the top five industry-ranked pharmaceutical companies based in Mainland China and has been recognized as one of China’s “500 Most Valuable Companies” In 2011, the client reached a key milestone in their development when they formally established their corporate headquarters and central R&D facility on a campus site in Shijiazhuang, China. 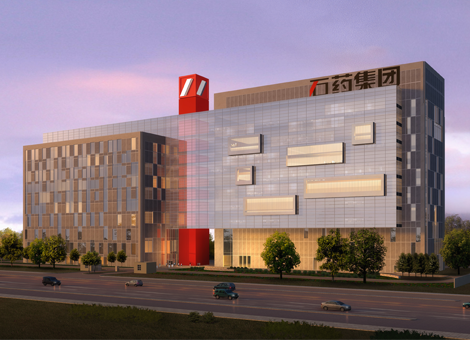 ICD was chosen to provide security implementation services for this landmark project on the basis of the initial designs proposed by our system specialist and because of our considerable experience implementing large scale security systems for clients throughout Mainland China and other regions in Asia. The site consists of two large buildings, the client’s corporate headquarters, and an R&D building, together hosting a total of 2000 employees. The site houses a number of highly sensitive areas that are of key importance to the client’s global business operations, including a comprehensive animal testing facility. Effective security for these areas and throughout the campus site was therefore of paramount concern for the client. We provided the client with a complete, highly integrated security solution that comprised an access control system provided by xxxx to manage 520 card readers, 175 cost effective Samsung analog cameras, 6 point of sale devices for their cafeteria area, a guard patrol system featuring more than 60 patrol points throughout the campus, a car park system including boom barriers for the two major entry and exit points and a visitor management system. For these systems, we implemented a “one card solution”, for which each campus employee is provided just one card that can interface with multiple systems, including door access and meal payments. This allows the client to manage the daily interactions of their employees in easily managed and cost-effective way that is also highly convenient for the client’s workforce. ICD also took steps to ensure the security of the sensitive areas on the campus premises. As part of the comprehensive surveillance system that covers all indoor and outdoor areas, we installed infra-red cameras to monitor activities in the laboratory facilities, including the animal testing areas to ensure any security incidents could be detected and addressed at any time of the day or night. In addition to the security system, the client entrusted the implementation of their satellite television network for the campus to ICD’s experienced system integration team. The network broadcasts 40 television channels to a total of 69 points throughout the HQ and R&D buildings on the campus. By working with just one experienced partner, the client was able to successfully implement multiple integrated systems to support the operations of their new corporate headquarters. ICD continues to support the operation of these systems through comprehensive system maintenance services, provided by our local technical support teams. As a result, the client enjoys an effective, reliable security management system for one of their most strategically important sites.